Welcome to the landlords and tenants formerly served by TAMPA BAY AND LAKELAND RENTAL SOLUTIONS whose accounts were sold to us in May of 2017. The rental home industry in the Tampa Bay and Lakeland area is booming. 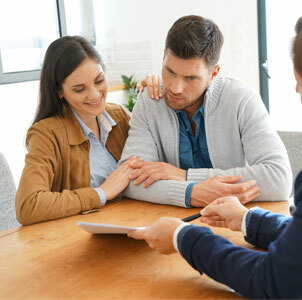 If you are an investment property owner, you need a Tampa and Lakeland property management company that can efficiently manage your properties. 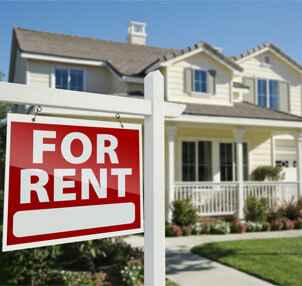 If you are looking for a home to rent, you want to rent from a firm that can respond to your needs. No matter which side of the equation you are on, Berkshire Hathaway Home Services Florida Properties Group's Property Management Division can meet and even exceed your needs. Property Managers handle rentals in Hillsborough, Pasco, Pinellas, Hernando, Polk and Highlands Counties from Clearwater to St. Petersburg, Tampa to Wesley Chapel, Trinity to Port Richey and Brandon to Springhill, Brooksville. Zephyrhills, and Lakeland to Sebring. Whether you need help with your residential rentals or you are looking for a house to rent, we want to be your professional guide. We are your Tampa Bay and Lakeland Rental Solution. The rental house that you move into may be a business for the owner but it’s a home for you. We understand that and the goal of our Tampa Bay and Lakeland property management team is to make living in one of our properties an enjoyable experience. Maintenance Emergency Call Center Available 9:00 AM to 9:00 PM 7 days a week. Management Division can meet and even exceed your needs. Property Managers handle rentals in Hillsborough, Pasco, Pinellas, Hernando, Polk and Highlands Counties from Clearwater to St. Petersburg, Tampa to Wesley Chapel, Trinity to Port Richey and Brandon to Springhill, Brooksville, Zephyrhills, and Lakeland to Sebring. Whether you need help with your residential rentals or you are looking for a house to rent, we want to be your professional guide. We are your Tampa Bay Rental Solution. Our topic today is property caretakers and why you might need one. If your property is going to be left vacant for more than a couple of weeks, you might want to hire a caretaker. That’s someone who is going to have the skills and resources to handle all the unexpected property needs in the period that you are away.